Above is a mash-up of people seeing snow for the first time. Sitting here in the frozen, winter wonderland that is Detroit (that’s finally melting! ), I was struck by the story of Wilson Bentley (wikipedia article here). 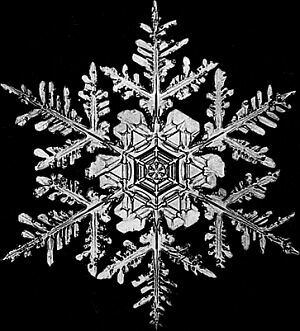 He’s the man that took over 5,000 magnified images of snowflakes in the late 19th and early 20th centuries. Bentley found that now only is every flake intricately detailed but it is almost impossible to find two that are alike. I was struck not only by the beauty of this, but also by the contrast to our normal standards of operation. To be honest, I’m tired of snow. We’ve gotten at least 43 inches of it in Detroit throughout this winter season. 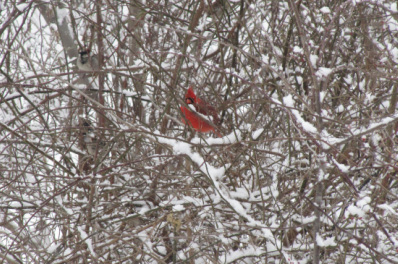 When it comes down, it flies past my window so fast that I can barely see the individual flakes. Forget about appreciating their unique beauty. Knowing that, if I were to create snow, it would come down in 12 different shapes, max. After all, mass production is supposed to be uniform and fairly easy to replicate. We have limited time and limited resources. Yet outside of my window lies 12 (melting) inches of snow that are evidence that our creator had his own theory of production long before Ford started making cars on his assembly line. What then does this tell me about God? If nothing else, his infinite nature defies my normal notion of what is wasteful. Beyond that, if he puts that much detail and individual identity into this frozen heap that will be gone in a matter of hours or days, how much more has he put into you and me. Whether you have some snow just laying around outside or not, I hope you know that you are loved by a God who defies both our common reason and logic. When I looked at my life, I wanted to see farther, yet what I was sure I knew had me weary and worried. And I couldn’t truly see what was right in front of me because I wasn’t truly looking. Who but the One who placed it there knew how much this lovely, lowly reminder of his love was needed by my own dark heart, gritty with daily life and stained with salt wash. The next swerving car or sure footed hoof print would have smudged and erased this unmistakable love note. It was just for me, just now, here. And I almost missed it. I have been thankful for the days when I can go about different tasks of mine and have a clear mind, so much so that I can enjoy and be present in the moment(s). Last week, that was the case when I was doing plyo. Simply being in the moment allowed me to enjoy the range of life around me. I wish to live more like that.